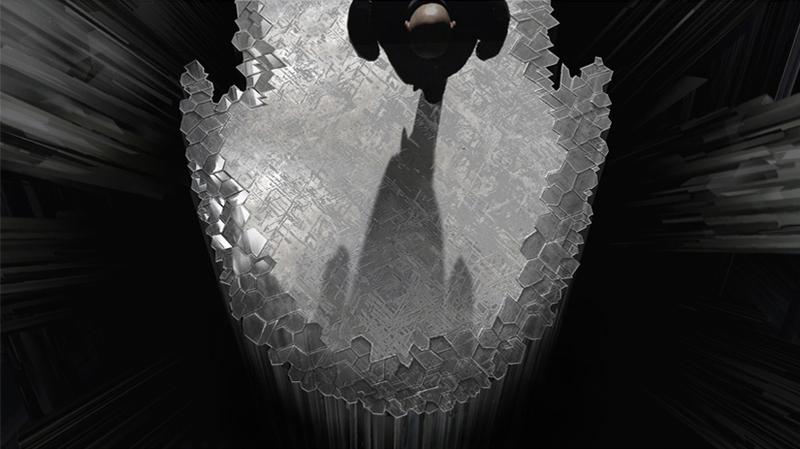 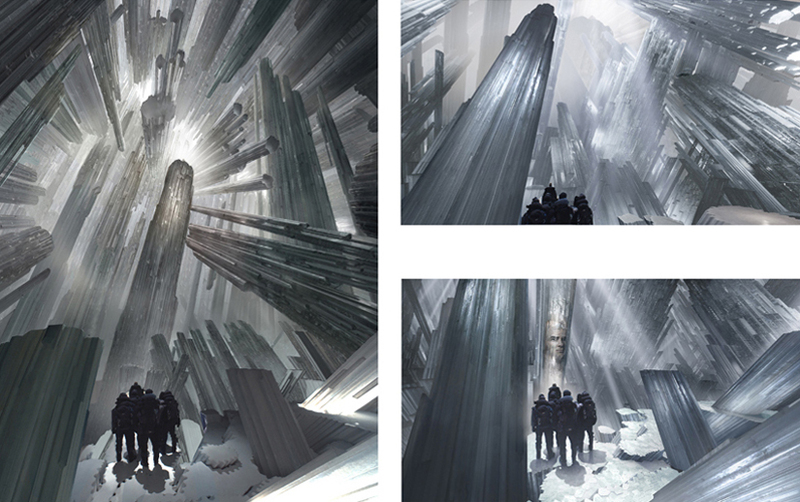 Most of my time on “Superman Returns” was creating concept art for The Fortress of Solitudes CG environment. 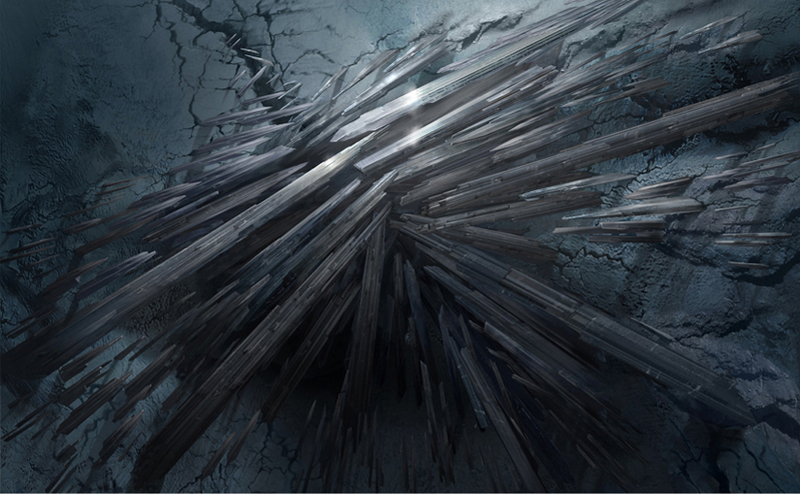 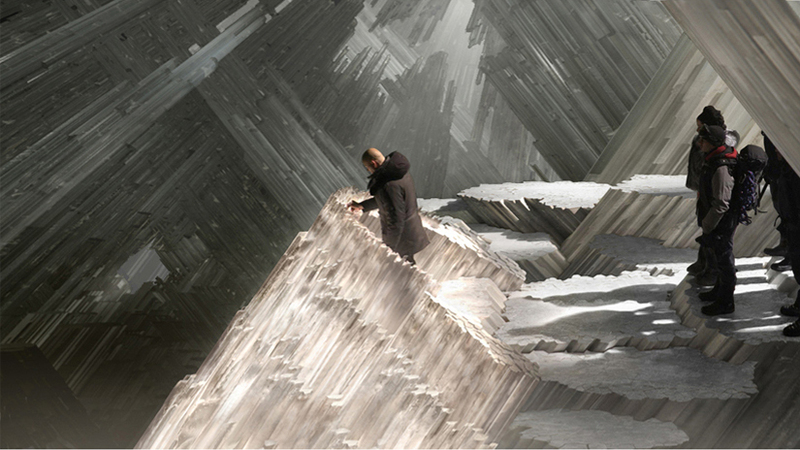 The live action set pieces did not get the translucence, refraction and subsurface that was needed to depict the immense crystal forms that adorned the Fortress. 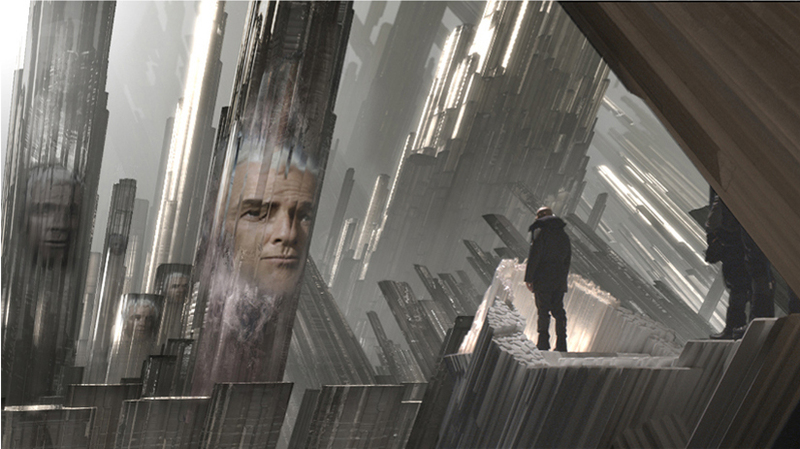 The CG replacements that we created worked better for the client.